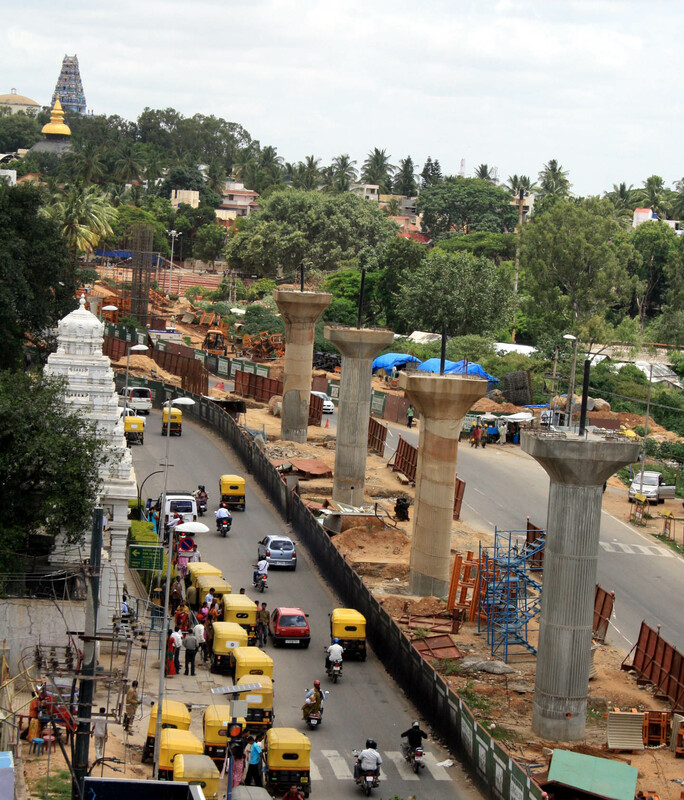 Devotees throng the ISKCON temple on Chord road in Rajajinagar in Bangalore on Sunday, overlooking the Namma Metro project, as the gopuras of two other temples in Mahalakshmi layout loom over the horizon. Do autorickshaws stand to lose the most when the trains are up and running? This entry was posted in Life Etcetera, Mysore-Bangalore and tagged Chord Road, Churumuri, Gopura, Karnataka Photo News, KPN, M.G. Road, Mahalakshmi Layout, Namma Metro, Rajajinagar, Sans Serif. Bookmark the permalink. Buses stand to lose the most, not autorickshaws. We will still need something to get us to the front door from the metro station, and autorickshaws do that well. Regardless, some competition will help improve service all around. Hopefully. Autos do lose out on the long distance trips, isn’t it where they earn their hundreds? In my recent conversation with an auto rickshaw driver, to my surprise, he said that metro is good for them and metro completion earlier the better. His argument was that people would use metro for longer distances and auto rickshaw drivers are happy driving in ‘their’ own locality of 5-6kms and not needing to say ‘no’ to commuters many times. So that seemed to be a reasonable win-win-win situation for commuter-auto-metro. Some discomfort is inevitable! Like GK3S I am hopeful it makes life easier for most of us. I agree Autos are needed for last mile commute. But, Autos should be banned from the CBD. I define CBD as 5km radius from Vidhana soudha. In these locations only taxis should be permitted (as in Mumbai). The cost differential is not much between an auto and a taxi for short distances. Especially, if new age – Nano like taxis are brought in. And ideally people should walk distances of less than 1km, rather than taking autos. People with disability or non-inclined to walk can take taxis instead. The reason to ban autos in CBD is simple. Auto’s tend to be slow and most indisciplined. 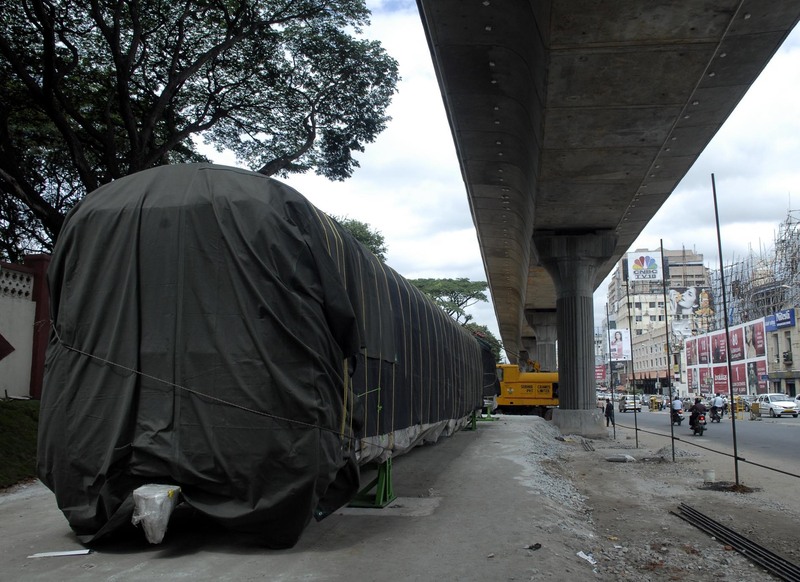 This model has worked very well in Mumbai, no reason why it won’t work in Bangalore. Yea, auto riskshaws do loose on long trips. But nothing like them when it comes to end to end short distance transport.